It was not the week I was looking for. Going to a course I have won on before, I was looking to have a good week, especially after my last couple of tournaments. However it didn’t go my way last week. I never managed to get anything going in the first round and then a couple of poor tee shots, on the 11th and 14th, caught the water and ended up costing me three shots. This along with the fact that I wasn’t making many birdies, meant that I shot two over par. The scoring is always good around this course, so my first round left me way too much to do. I managed to score better on Friday morning but not good enough to make the weekend. I shot two under for a two round total of level par, which was three shots outside the cut. I was a little off last week but I can?t quite say why. It was just one of those weeks. However the only upside was that I had a weekend relaxing by the pool in great weather. With the Ryder Cup next week being a busy week, it was nice to have a couple of days to take it easy and do nothing. Like everyone else in the world probably, I tuned in to watch Tiger on Sunday. It’s great to see him back and the golfing world is a better place with an in-form Tiger. A disappointing event for Padraig overall after he misses the cut on the back of some encouraging performances over the last few weeks. He again got off to a slow start with a bogey on the par four 11th hole and even though he recorded four birdies on the day to shoot a 69, the cut came at three under par! History was also made with the first 59 on the European Tour, courtesy of Oliver Fisher! Next up for Padraig is the Ryder Cup! Disappointing opening round for Padraig at the Portugal Masters as he shoots a two-over-par round of 73. He played the front nine in level par, swapping a birdie and a bogey but starting back on the back nine, he got off to a dreadful start with a double bogey on the par four 11th hole and was three over after five holes of the nine. He then made a couple of timely birdies before a dropped shot at the last had him a long way off the leaders at eight under par. He tees off early Friday at 8.40am! 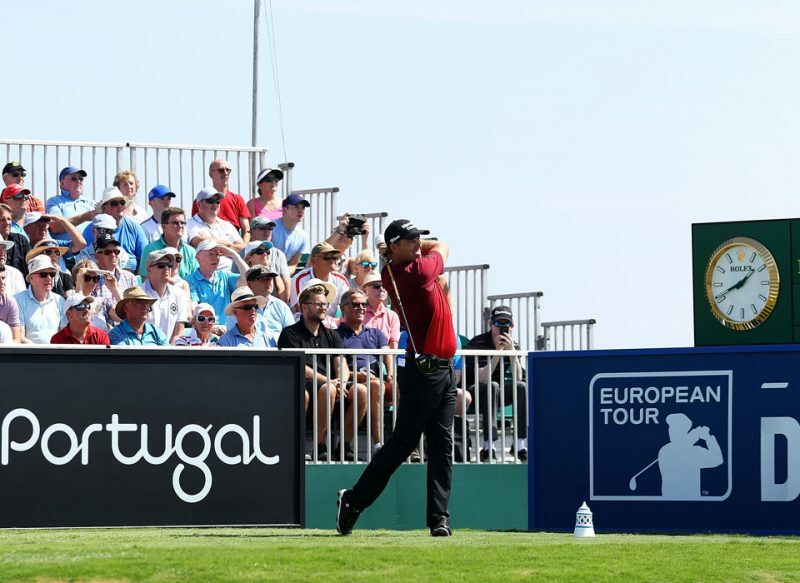 Padraig is playing this week in Portugal at an event he won only two years ago, the Portugal Masters. It is being played as usual at the Victoria Golf Course where low scoring is the order of the day for the long-hitting pros! He will be full of confidence after a top five and runner-up finishes in his last two events. Padraig tees off at 1.40pm local time with Danny Willet and Ashun Wu! I’m in Portugal this week for the Portugese Masters, which I won in 2016. It’s always great to come to a course that you have won on before. Even more so when you are coming in off the back of a couple of good results. Finishing second and fifth in my last two events has been great, but I’d love nothing more than to add another trophy to my collection. This is one of my favourite weeks of the year. There is always a lot of Irish around and I stay with friends. This may be about as relaxed a week as I have on tour and everything about this week is perfect, down to the great weather. I arrived here on Tuesday and spent a bit of time practicing my putting as I struggled a bit last week with my long range putts. Putting was all I did on Tuesday as I know the course. On Wednesday I played in the morning pro-am with three lads all the way from Dublin!! We managed to get close to winning but in the end we were just pipped. The course hasn’t really changed, certainly not in terms of the lay out. They only thing that is different is that they have put in Bermuda rough. Over the years this type of grass hasn’t been too kind to me as I tend to struggle with flyers from it. It puts more of an emphasis on hitting fairways than ever before and as a result of the change, I would expect the winning total not to be as good as previous years. While this grass hasn’t been good to me, I do like the course and I am feeling good about my game. I’m out late on Thursday and early on Friday with Danny Willett and last week’s winner, Ashum Wu. I like what I have seen with my game over the last few weeks and I am excited about playing. I hope to get myself into contention on Sunday and see what happens from there.